We all get the chills when a White Walker rocks up on screen while we’re watching GOT. Those things are just damn creepy and are usually accompanied by blizzards and a sudden drop in temperature. Inside this stark white limited edition bottle is the newest edition to the House of Johnnie Walker. At the heart of this icy blend are the single malts Cardhu and Clynelish, one of Westeros’ (Scotland) distilleries far in the North close to the Wall. This mythic whisky is chill-filtered to 1.5 C and best served ice cold directly from the freezer or in the snow. 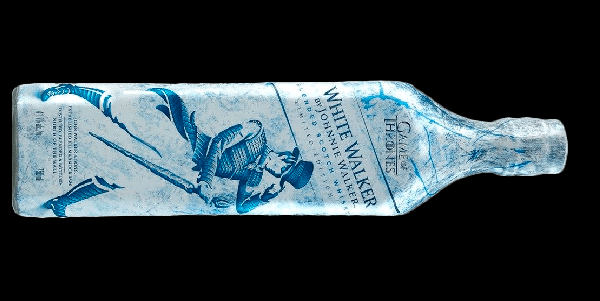 Grab a bottle to catch up on all the old seasons of Game of Thrones while we wait with baited breaths for the final season airing in Q1 of 2019!